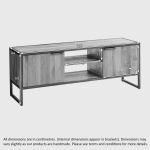 Bring home this large metal industrial TV stand from our Brooklyn range today to add a touch of industrial style to your living room. 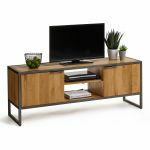 It's constructed from beautiful solid oak, paired with an open metal frame with a dark aged effect for contrast. 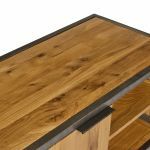 The wood is finished with our natural protective wax, which adds lightness to the timbers, and brings out the unique wood grain patterns. 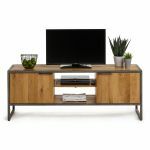 The unit boasts a central shelving section, perfect for your media player or games console, flanked by two cupboard storage areas. 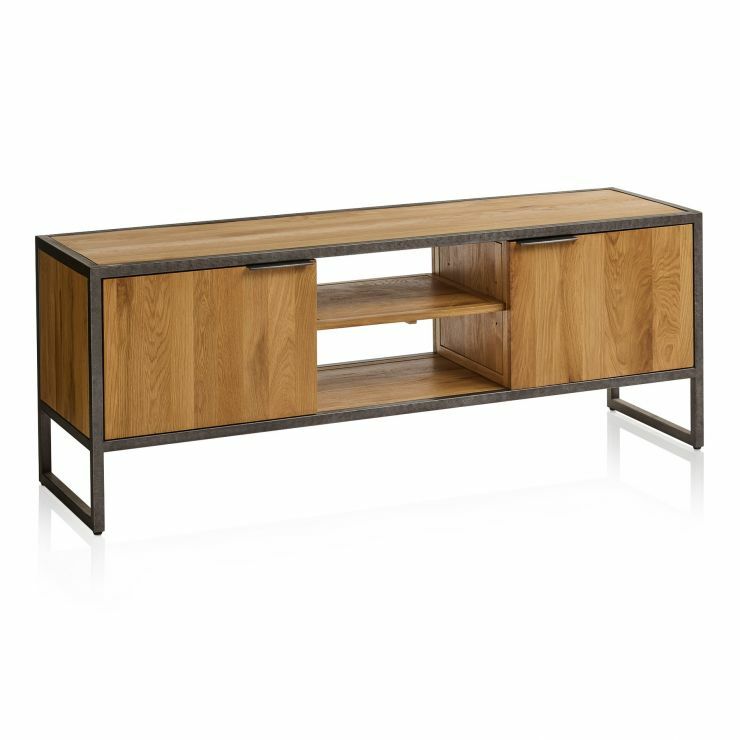 The cupboards each have slim metal tab handles to match the frame. 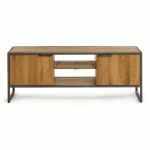 Browse our full Brooklyn range today to find more modern pieces for your living room, and beyond.